Editor’s Note: This is all about the build-up toward what will be a completely fake, provoked, manufactured World War 3. The Iranians allegedly came as close as 300 yards (274 meters) of the Nitze during the encounter. Urban said some 10 percent of all US encounters with the Iranians in 2015 and 2016 have been similarly unsafe. “The Iranian high rate of closure on a Unites States ship operating in accordance with international law while transiting in international waters along with the disregard of multiple warning attempts created a dangerous, harassing situation that could have led to further escalation including additional defensive measures by Nitze,” the NAVCENT statement said. 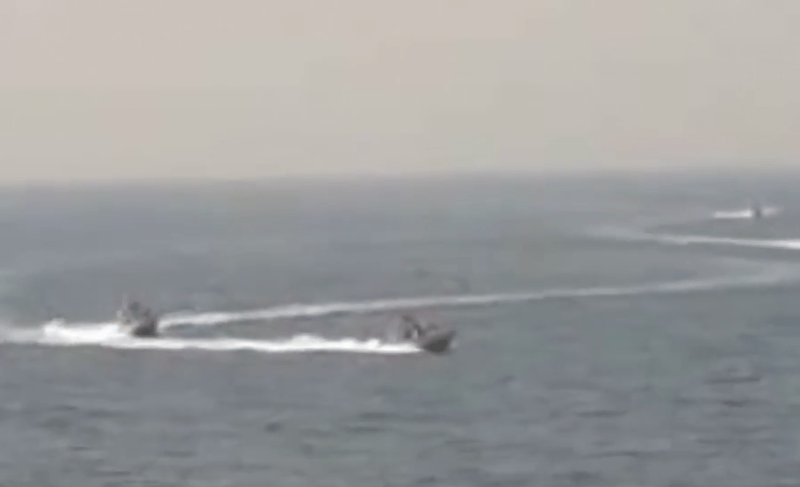 Commenting on the incident, Iranian Defense Minister Hosein Dehghan said the nation’s forces patrol the area to protect its territorial waters. The Strait of Hormuz is a key maritime route, through which about one-fifth of the world’s oil supply flows. It’s also one of the places where the presence of the US Navy stirs tensions with regional stakeholders. Similar complaints about allegedly unprofessional behavior regularly come from the Pentagon over Chinese forces in the South China Sea and the Russia navy in the Black and Baltic Seas. ← The Big-Pharma/Medical Industrial Complex, Over the last Century-Plus, has Kidnapped and Destroyed our Health!